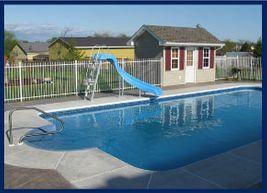 The Key to Quality Pool Services in the Belleville Area: Us! R.C.F Pools has your best interests in mind. We can handle everything related to your pool or hot tub so all you have to do is sit back in your pool lounger and relax. So you’ve found the pool of your dreams, and you know just where you want it. But unlike a lawn chair that you can just unfold and use, pools take a lot of planning and equipment to install. Find out how we can make your backyard spa getaway a reality. Whether you need to fix a few broken tiles in your pool or have it rebuilt from scratch, our team can help. We can repair worn-out parts and replace them with new ones or upgrade your wading pool to a diver’s dream that will make your jaw drop. Are you tired of handling messy chemicals and always guessing about which ones to add to your pool or spa? Let our technicians take care of all the maintenance details for you. 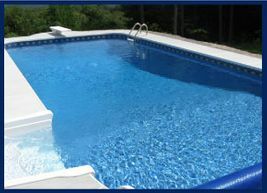 We can clean your pool, adjust its chemical levels, and open and close it for the season. Worried about seasonal charges that affect your pool? Don’t worry, we got it covered. 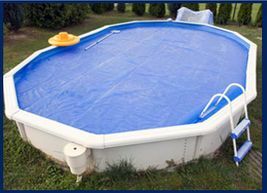 We have everything that you require to close your pool. Ready to sit back and enjoy your time off? 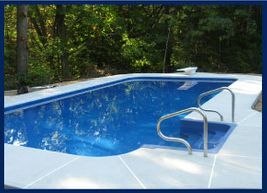 Contact us for professional pool services!